The U.S. Air Force and the Energy Department‘s National Nuclear Security Administration have concluded flight tests needed to qualify the B61-12 gravity bomb’s non-nuclear functions. A B-2A Spirit Bomber aircraft released the bomb’s non-nuclear test assembly during the two tests that took place June 9 at Tonopah Test Range, Nev., DOE said Friday. The assembly consisted of an NNSA-designed bomb component and a USAF-procured tail-kit developed by Boeing. The tests are part of the B61-12 Life Extension Program, which aims to bolster the bomb’s safety, security and reliability capacities, as well as extend the weapon’s service life. The Sandia National Laboratories and the Los Alamos National Laboratory designed hardware used in the tests, while the Nuclear Security Enterprise plants manufactured the equipment. “These qualification flight tests demonstrate the B61-12 design meets system requirements and illustrate the continued progress of the B61-12 life extension program to meet national security requirements” said Brig. 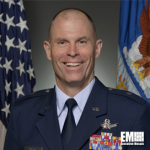 Gen. Michael Lutton, NNSA’s principal assistant deputy administrator for military application. The government intends to replace all existing B61 bomb variants with the B61-12, whose first production unit is expected to be completed in fiscal 2020.